Earlier this year, CNSI participated in the G2Xchange Federal Health IT Challenge for our White Paper on Improving Claims Processing Efficiencies. 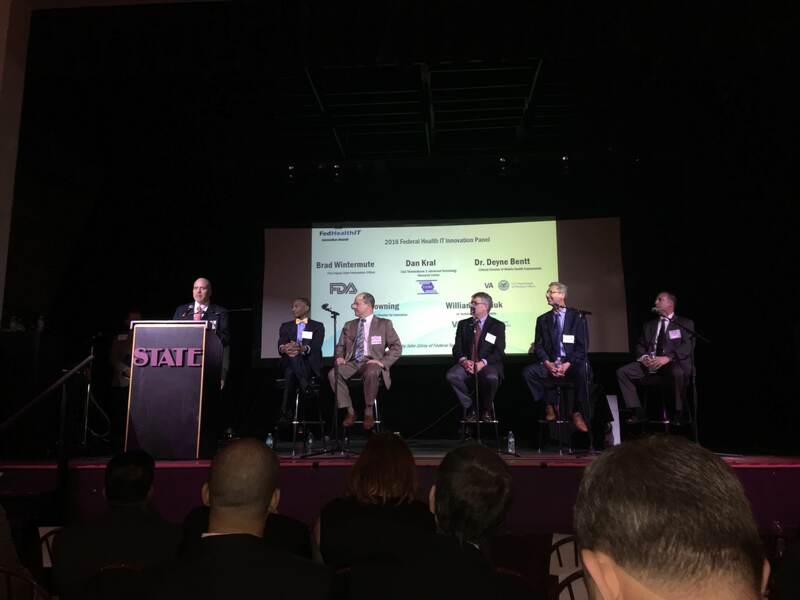 As a finalist in the challenge, CNSI team members attended the awards ceremony this last Wednesday at the State Theater in Falls Church, VA where they were able to demo their solution, meet with federal stakeholders, and hear from health IT industry leaders. Challenge participants were required to submit a white paper, reviewed by current and former fed health it experts, outlining a solution as it related to a variety of health IT topics including claims processing, health information exchange, digital/mobile health solutions, and more. In addition, the Department of Veterans Affairs (VA) and Visual Connections set up a special sandbox in which finalist could showcase their solutions in an active environment. Top winners receive not only industry bragging rights but also cash prizes and even a new Chevy Volt. For the submission into the Challenge, Senior Director of Program Management, Gangesh Gundeti, and a team of developers created an innovative approach for improving the VA’s claims processing services. This solution would eliminate redundancies and significantly reduce claims processing time helping our country’s valued veterans get the services and reimbursement they need. Leveraging the innovative eCams solution, a Medicaid health care delivery platform, CNSI deployed two features into the VA sandbox. The first, Automated Prior Authorization Match, allows for automatic syncing with approved provider authorizations. The second, Automated “Look-Forward” on Recurring Adjustments to Adjustments automatically identifies the most recent claim for making adjustments/reversal. As part of the core Medicaid Management Information System in both Michigan and Washington,implementation of both features is proven to increase operational efficiencies, payments to participants, and provider satisfaction, while reducing the cost of recurring billings. 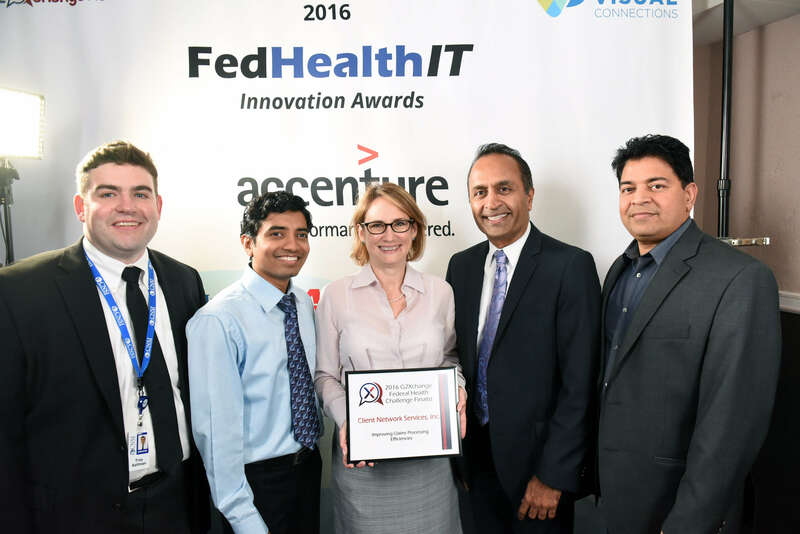 As a result of our efforts, CNSI was recognized as a finalist in the Federal Health IT Challenge, for which we are greatly honored. And we’d like to congratulate Focus Mobility, LLC for winning the challenge with their mHealth Chronic Condition Management App. But the Challenge and Award ceremony itself was a true testament to the strides and improvements being made in healthcare technology. Especially when senior representatives from VA, Health and Human Services, the Food and Drug Administration, and the Department of Defense led an engaging panel on Fed Health mobile solutions. The discussion focused around ways technology can impact real patient outcomes—from providing VA physicians tablets to revolutionize the treatment of Ebola exposure to putting 250 years of Military medicine into the palm of US Army doctors’ hands in war zones. The focus on mobility validated CNSI’s commitment to innovation through the deployment of our apps—myCareVisit and myHealthButton. We appreciate G2Xchange for providing the forum for us to demonstrate our solutions and look forward meeting the challenge next year! Did you participate in the G2Xchange Federal Health IT challenge? What do you think is most important when developing innovative technologies for Federal Health? Let us know by finding us on Twitter @CNSICorp. Co-authored by Amanda Moskowitz and Troy Kallman, CNSI Marketing Communications Team Members—writing, designing, and promoting our innovative health IT solutions every day.